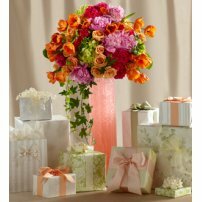 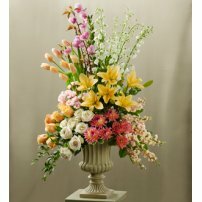 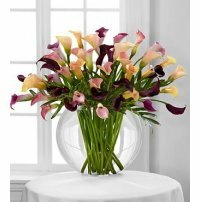 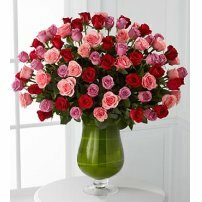 The FTD® Irresistible Love™ Bouquet is sweetly set to convey your most romantic intentions this Valentine's Day. 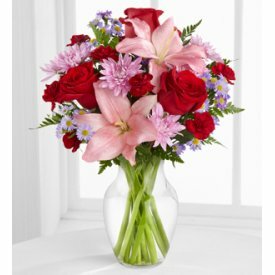 Rich roses, burgundy mini carnations pop against the pastel colors of lavender chrysanthemums, pink Asiatic lilies and purple monte casino asters to create an incredible flower arrangement. 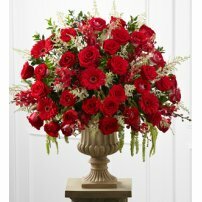 Presented in a classic clear glass vase, this flower bouquet will sweep your special someone off their feet just in time for this coming February 14th.